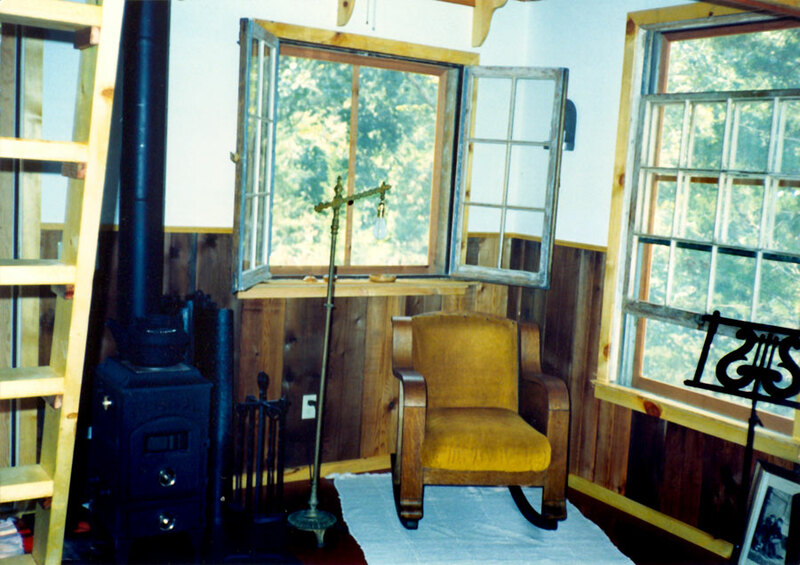 View of the inside of the main living area in cabin No.2. All of the windows in this cabin were salvaged from buildings being torn down. Cabin No.2 was designed to accommodate each window's individual size and shape. 1990, scanned color print, 3 x 5 in. (7.62 x 12.7 cm). Ozark Series. © 2008 by Allen C. Benson.